October marks Positive Attitude Month. There are many important reasons for why this is a month annually observed. It has been said that a positive attitude tis the best trait you can carry around with you because it makes difficult situations easier to deal with. Whether it is finding the silver lining in a bad scenario or looking at the glass half full, rather than half empty; a positive attitude can add a lot to your days, and even your life. Having an almost constant positive attitude will help lead to these long-lasting benefits. And with these benefits comes even more; such as a happier life, better memories to look back on, more people will be drawn to your positivity, etc. With all these benefits in mind, why not try to have a good attitude and find the bright-side of everything we encounter; or make the best of every situation? That is what Positive Attitude Month is about. Showing people that there are endless benefits to having a good attitude; while also giving people advice on how to become a more positive person. 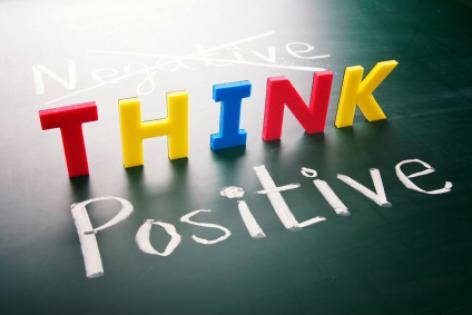 Obviously telling someone to think positively is easier said than done. That’s why we've compiled a list of ways you can observe this month and improve your positivity skills. First things first, what in your life do you think is negative? Write it down and put it in front of you. Seeing it, and not just thinking about it, could make you face it a little differently. Maybe now you can better address the issues when they come to you. Additionally, when you finally overcome those negative aspects or figure out how to better deal with them, you can have the satisfaction of crossing them off your list. If you have negative feelings towards something in the past, forgive yourself or whoever else was involved. Realize that the negative situation happened and harboring negative feelings about it is only hurting you more. It is in the past and there isn't much, if anything, that can be done to change it. So try to make your mood more positive by not dwelling in a negative past. Also, if there is a person, or a group of people, around you that reacts negatively to certain situations or has a negative outlook on life; maybe think about who you’re surrounding yourself with. Are they causing you think and react negatively as well? Try engaging with different, more positive, people and see how that affects your mood. You may be surprised how much other people can cheer you, and your attitude, up. Another important aspect to consider is your expectations. Are you feeling sad or disappointed because something didn’t play out as expected? Are you viewing your life with a negative perspective because certain expectations weren't met? Well, it may be time to reevaluate your expectations; because truly, they may be too high. And, when you don't fulfill those expectations or reach those goals, you view yourself or life more negatively. Tell yourself that when something doesn’t pan out, its OK! Not everything, or anyone, is perfect. Or, simply try to tell yourself to have a positive attitude. Maybe the more you tell yourself to be positive, the more of a habit it will become. How do you think you will observe National Positive Attitude Month? Will you try and implement or utilize any of these ideas we suggested? Do you have other tactics you have found successful in the past? We’d love to hear about them.